MortgageBrokerNews.ca recently asked readers whether banks or monolines offer more flexibility when it comes to porting mortgages and the results skew heavily in favour of monolines. 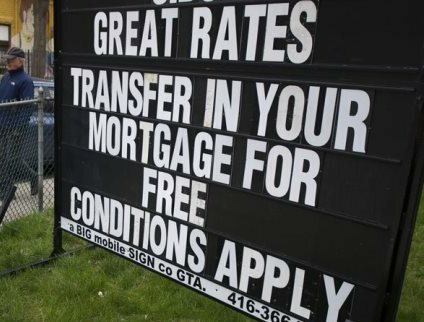 72 per cent of those polled say monolines offer more favourable conditions when porting a mortgage, compared to 28 per cent who prefer the banks. The poll was inspired by one reader who believes the bank offerings are superior. However, one broker believes a third option is the best way to go. some CU's do operate in more than one province. CU's also have much more flexibility than a bank or monoline, and offer common sense, in a banking industry that has lost that. I have worked in for banks, credit unions, and as a broker, CU is my choice over monoline or bank any day!! If the only fault the CU has is charging a penalty and cant port, big deal!! banks and monolines still cant do what CU can do for you!!!! limitations on bridge financing, or no port option, with other lenders, turn off!! Service is what I want for my clients!! CU's give so much better service !! I use to work for a CU. I have no problem with them but clients should be aware that you can not in most cases port a mortgage out of province with a CU.